Sarah Weckhuysen is a neurologist specialized in the diagnosis and treatment of epilepsy, and was a member of the team from november 2014 to december 2015. 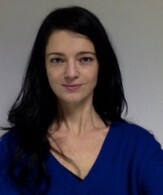 She has a PhD on genetics of epileptic encephalopathies, from the University of Antwerp (Belgium), and has worked in several European reference centers for epilepsy, among which the epilepsy center Kempenhaeghe in the Netherlands and the Pitié-Salpêtrière Hospital in Paris. She has been and still is coordinating the European consortium on epilepsy genetics EuroEPINOMICS-RES. She now works as a researcher at the Flemish Institute of Biotechnology (VIB), and as an epileptologist in the University Hospital of Antwerp in Belgium.